The next Pattaya City Expats Club (PCEC) meeting will be on Sunday, Nov. 17. Everyone is warmly welcome. The speaker will be Ren Lexander on the topic: “The Ape in Your Bedroom … How Evolutionary Psychology sheds light on the battle of the sexes.” The Club meets every Sunday morning at the Tavern by the Sea restaurant located on the north end of Beach Road (part of the Amari Orchid Resort). The program starts as usual at 10:30 a.m. with a buffet breakfast available from 9 to 11 a.m. The exciting Pattaya Long Boat Races will be held over the weekend Saturday 23rd and Sunday 24th November at Lake Mabprachan in east Pattaya. Prior to the event, on Thursday, 21st November at 3 p.m., a procession will take place through Pattaya’s main tourist zones to publicize the boat races and will include colourfully decorated floats and a marching band. Athletes from more than 15 countries will compete for 300,000 baht in prizes at the Sawasdee Cup International Badminton tournament which is being held at the Eastern National Indoor Sports Arena in Pattaya from 22th-24th November. More than 15 countries will be represented, including badminton players from Australia, China, Malaysia, Singapore, Thailand and the United States. Bangkok’s annual Ploenchit Fair will be held this year on Sunday, November 24 from 10.00 am – 8.00 pm at the Patana School, 643 Soi La Salle, Sukhumvit 105. The Fair will offer games, rides and competitions for the kids and adults while the main stage will host a variety of excellent bands and performers throughout the day. 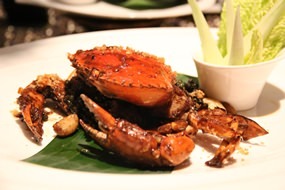 A mind boggling array of food and drink will also be available from some of the best bars and restaurants in Bangkok. Attendees can do all their Christmas shopping at the Petticoat Lane Bazaar where some 70 vendors will be selling handicrafts, home wares, clothes and accessories, books, jewellery and more. Proceeds from the Fair will be distributed to many charitable causes throughout Thailand. For more information, go to website: www. ploenchitfair.org. Share a memorable Loy Krathong celebration at the Elements restaurant of the Sheraton Pattaya Resort on Sunday, November 17. Loy Krathong at Sheraton Pattaya on November 17. The sound of a live traditional Khim instrument (hammered dulcimer) will complement the authentic Thai set menu (minimum of 2 per set) including spicy rock lobster salad with mango, salmon in thick red curry sauce, Yam Pla Korb Avacado, and other signature dishes. 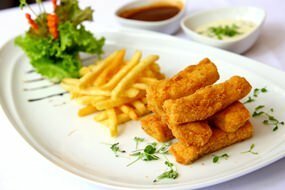 Price: THB 890++ per person (complimentary for kids under the age of 4 and under 12 pay half price when dining with an adult). For more information or reservations, please dial 038 259 888 or go to website: www.sheratonpattayaresort. com or Facebook: www. facebook.com/sheraton pattayaresort. 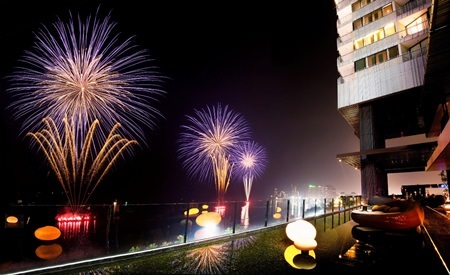 Celebrate Loy Krathong a night in advance on November 16 at the Dusit Thani Pattaya. Enjoy a Saturday night BBQ buffet before setting your specially created krathong (provided by the hotel) afloat in the Lagoon Pool: Price is THB 1,590++ per person, half price for children between 5-12 years old. 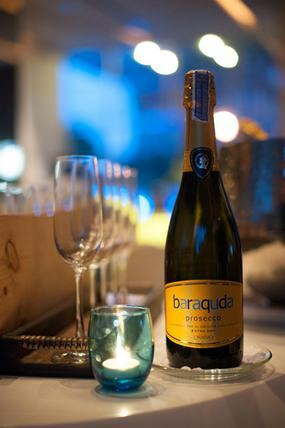 For free flowing wine, beer, soft drink or juice, price is only THB 499++ per person. Book your seat early and receive a 15% discount (food only). For reservations, call 038 425 611-7 Ext 2149-50. Throughout November, Chef Alberto Bruni at “Acqua” Italian restaurant invites you to enjoy bird and game autumnal culinary treats. 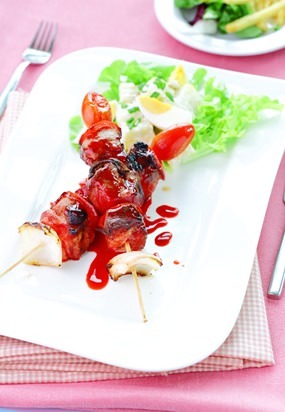 Grilled marinated quail is served with an original Mesclun salad. Lush venison fillet is accompanied by a rich red currant sauce and he has created a delicious rabbit ragout which is served with sage fettuccine for a true taste of Italy. Prices start from THB 360++ (subject to 10% service charge and 7% VAT). 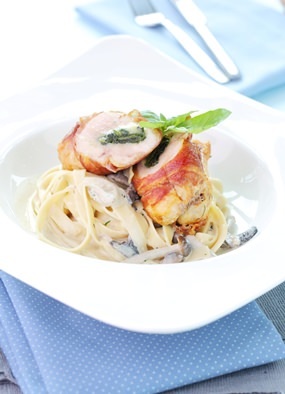 Acqua Italian restaurant is located in the Main Lobby of Centara Grand Mirage Beach Resort Pattaya, and opens daily from 18.30-22.30 hrs. Call for reservations at 038 301 234 ext. 4266. Oysters – the Pearls of the Sea – feature strongly at Mantra Restaurant & Bar in November. Executive Chef Leonard Faust and the Mantra culinary team have selected the best from the oyster world: Flat Belon and Pousse en Claire, Hokkaido Rock, Calm Cove Pacific, Hammersley, Coffin Bay and Eagle Rock will all be on the menu this month. 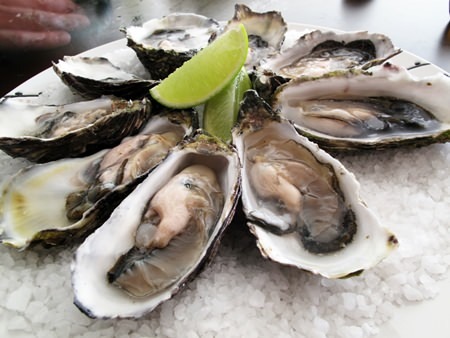 Enjoy the oysters simply served fresh on the half shell with your favorite condiments or try the Bloody Mary oyster shooters, the Samurai oysters poached in sake or treat yourself with the Canadian lobster & oyster omelet. Mantra’s superb wine selection also offers you a vast choice of great names from France, Italy, Australia and Chile by glass or by bottle. For more information or booking, send an email to [email protected] or call 038-429591. 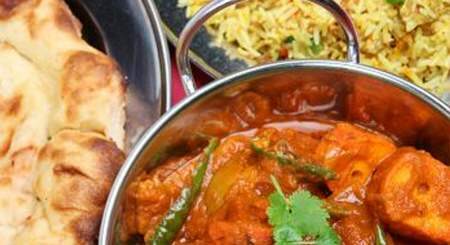 Throughout the month of November, Oasis restaurant is featuring “Meat on a Stick” with Turkish kebabs, Jamaican chicken, Tandoori inspired seafood and BBQ pork kebabs. Prices start at only THB 300++ (subject to service charge and VAT). Oasis Restaurant is located at the lower main lobby of the Centara Grand Mirage Beach Resort Pattaya. Open daily from 6.00-23.30 hours. Call to reserve at 038 301 234 ext 4260-61. Available throughout November is a new delicious signature pizza: “Lambada Pizza” at Havana Bar & Terrazzo. 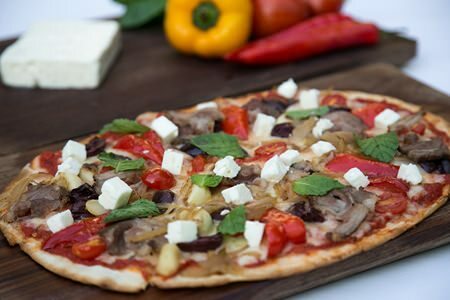 Savor a taste of lamb, grilled red capsicum, sautéed onion, cherry tomato, roasted garlic, Kalamata black olive, topped with feta cheese and mint leaf served on thin and crispy pizza base. Enjoy the signature taste of Italian pizzas while listening to the live music performances. Served every day this month at only THB 395 net (receive 50% discount from 4 p.m. to 6 p.m. daily). Havana Bar & Terrazzo is located at the Holiday Inn Pattaya, on Beach Road, north Pattaya. For more information or reservation please call 038 725 555. Pattaya Players amateur dramatic society will be staging its fourth-annual Christmas Pantomime production of “All at Sea” on November 22nd, 29th, 30th and December 1st, 3rd and 6th at various venues around Pattaya. The production will feature free admittance to the show as a “thank you” for all the support and dedication audience members have shown during the last five years of the Pattaya Players’ existence. Tickets are therefore not necessary but seating will be on a first-come, first-served basis, so you are encouraged to arrive early. The full venue line-up and performance details can be found at www.pattayaplayers.org or email [email protected] gmail.com. Mantra Restaurant & Bar has teamed up this month with Howard Posener, one of the finest close-up magicians in the world, who will perform intimate magic at your table while you enjoy mouth-watering Mantra Asian and Mediterranean cuisine. Howard will be performing his magic every Wednesday from 7 p.m. – 9 p.m. through to the end of December. Mantra Restaurant & Bar is situated at the Amari Orchid Resort at the north end of Pattaya Beach Road. Open 18:00 to 1:00. For more information or booking, send an email to [email protected] or call 038-429591. The RLC (Rayong Ladies Circle), which operates mainly in the Ban Chang and Rayong areas, is a friendly and social group of international women. They hold a monthly coffee morning, amongst many other activities, on each second Tuesday of every month in the home of one of their members. Everyone most welcome to join! For more information, send an email to [email protected] com or visit the website at www.rayongladiescircle .com.